We are the only HD Dealer open the last week of the year so we need to celebrate! 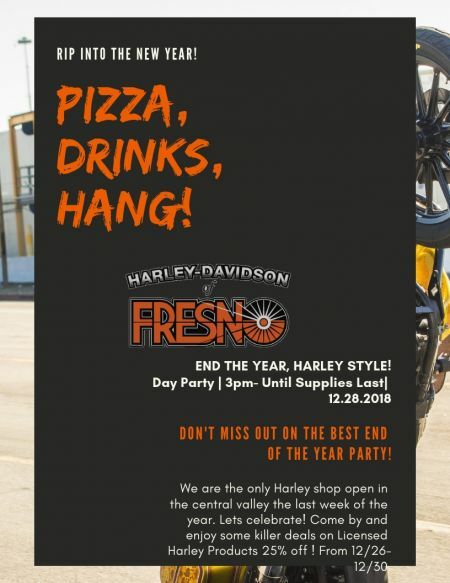 We will have Harley Licensed Products 25% Off from 12/26-12/30, but on December 28th we will be having pizza, drinks, games, and raffles to end the last week of 2018 Harley Style! Blow some steam off from all the holiday shopping stress!